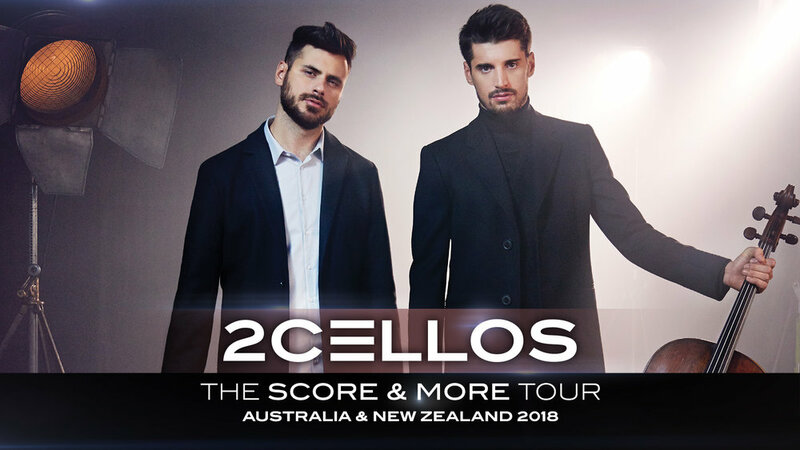 Musicâ€™s most electric and dynamic instrumental duo 2CELLOS are headed back to Australia & New Zealand off the back of incredibly successful 2015 & 2016 tours. Donâ€™t miss 2CELLOS as they bring their newest album to life on the stage. Score features memorable themes from Game of Thrones, The Lord of the Rings, Titanic, Braveheart, The Godfather, Breakfast at Tiffanyâ€™s, Schindlerâ€™s List and many more. The world-famous duo have no limits when performing liveâ€“equally as impressive playing Bach and Vivaldi as they are rocking out to AC/DC and Iron Maiden. Experience their incredible talent and undeniable passion as they break down the boundaries between different genres of music.